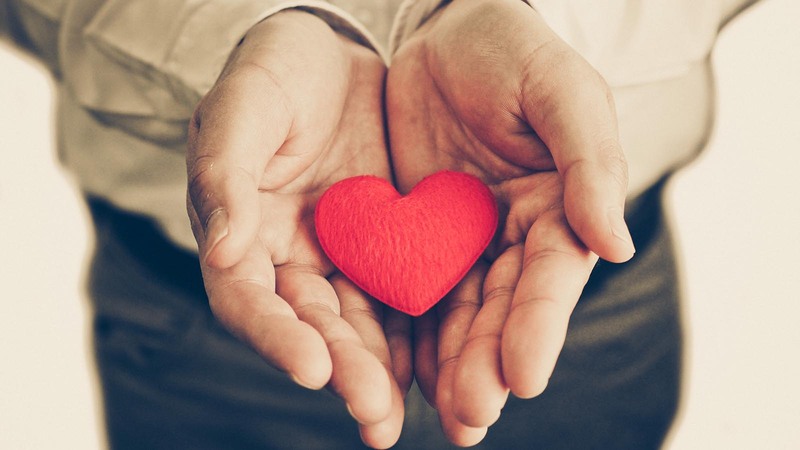 Every business success story begins with the golden buzzword: loyalty. In today’s burgeoning cannabis industry, a dispensary loyalty program is truly a key marketing ingredient to establish a thriving retail operation and ensure customer retention. That said, when it comes down to the logistics, not every loyalty program is created equal. Most can boost sales and help you create lasting relationships with your devoted customers, but it is important to structure your cannabis retail loyalty program in the most financially sound way possible. In other words, the ability to keep track of what your loyalty program is really costing you is the best way to secure your business’ monetary success while making your customers happy. While many businesses employ a points-per-visit loyalty program structure — in which their customers earn loyalty points each time they visit the store — a points-per-dollar loyalty program structure is infinitely more measurable and will enable you to completely understand what your program is costing you on a percent-of-sales basis. This will allow you to understand the financial impact that your program is having on your business from both a cost and return on investment perspective. The complete integration between springbig and Cova cannabis retail point-of-sale allows users to implement a true points-per-dollar loyalty program. Visit-based loyalty structures only allow you to track one thing successfully: customer visits. Since loyalty programs are based on a percentage of sales, there’s no way to accurately correlate the ratio of points to dollars spent, since you are distributing points to your customers by the visit. For example, if a customer earns 50 points for each purchase, one customer can spend $20 while another can spend $100. The problem with this? Let’s say a customer can earn a $20 reward when earning 200 points. In this case, one customer would spend $80 over the course of four visits to receive $20, which equates to 25 percent of sales, a percentage that is way too expensive and irresponsible from a financial standpoint. The problem? 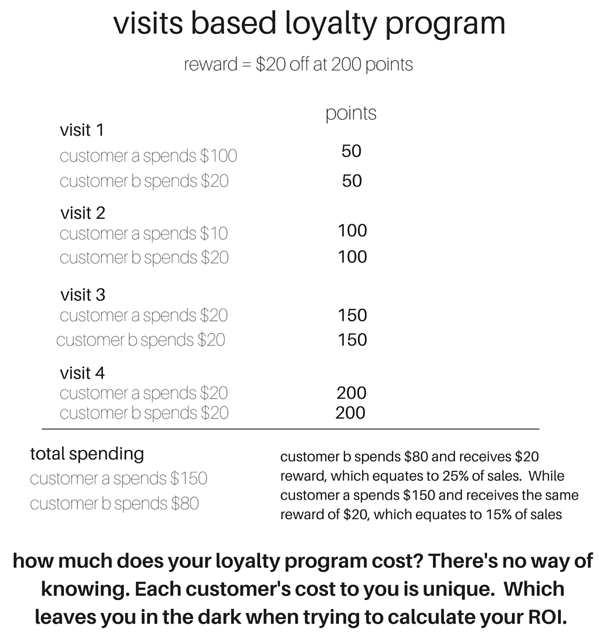 This loyalty program structure doesn’t allow you to accurately measure what your program is costing you on a percentage of sales basis, since the reward value is unique to each customer — which also means you will have no way of knowing the financial impact that your program is having on your business. Let’s say you are keeping your reward at $20 for every 200 points the customer earns; under a points-per-dollar spent loyalty program, you know that each and every customer who redeemed this reward spent $200 to obtain it. A $20 reward when a customer spends $200 equates to 10 percent of sales on a gross basis, and this is the same for all your customers since the math will work exactly the same way for every customer participating in your program. The 10 percent of sales on a gross basis will net down to a cost to you, the cannabis retailer, of about two percent of total sales after taking your discount from the retail price of the product (usually around 50 percent) to your cost for that product and slippage/breakage (which are points that are earned but are never redeemed). Since you know your program is costing you about two percent of sales, you can easily calculate the increased gross profit generated from your sales within the program and, from there, determine what your ROI for your loyalty program truly is. Bottom line? Leave the points-per-visit method behind. With your phenomenal marketing skills plus a program that integrates directly into the Cova dispensary point-of-sale platform — and one that you can truly measure — you’ll create a winning formula for both your store and your customers. springbig is a marketing engine built for cannabis retail. With springbig plus Cova, you can connect with your customers through a fully-featured loyalty and text messaging platform. You’ll also be able to employ advanced cannabis retail rewards programs and implement customer segmentation. To learn more about how Cova and springbig can keep your cannabis dispensary customers coming back, contact us today.